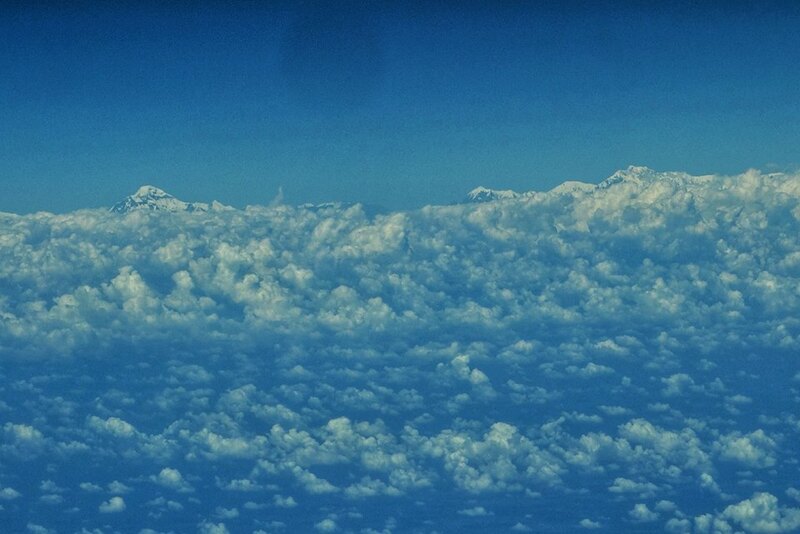 Dhaulagiri on the left and the Annapurna Massif on the right. Taken from a flight headed East. October 2017.